When the last school bell of the year rings, your child probably feels excited for a relaxing summer vacation. Every student needs a break from the routine and rigor of a busy school year. Although summer break should certainly be enjoyed, too long of a pause in learning will result in learning loss – otherwise known as regression. According to the Johns Hopkins School of Education students lose 2.6 months of grade-level equivalency in math computation skills over summer break. The area that suffers the most for all students is factual/procedural knowledge. programs at your library, school or local bookstore, which often offer younger children rewards for completing certain reading milestones. • Write often. Encourage your child to write letters, keep a journal, get together with friends to start a neighborhood newsletter or even collaborate with siblings or cousins to create a family newsletter. Encourage your child’s inner storyteller. Don’t focus on correcting mistakes – keep it fun and simply allow your child to practice. • Review prior year assignments. If you’ve saved some of your child’s work throughout the school year (or textbooks), spend a few minutes each evening reviewing past assignments. Before school lets out, ask the teacher what concepts are especially important to brush up on throughout the summer. • Take classes. Most communities offer a range of fun, educational programs and class for children of all ages – through museums or community/arts centers. Check out what is available and of interest to your child. • Attend a summer learning program. Huntington Learning Center offers customized summer learning programs for children of all ages, which are a great way to keep students learning and reduce any summer regression. It doesn’t take a monumental effort to help students minimize regression during the summer months. Questions on how to help your child retain what he or she has learned? Call Maggie Lage at the Huntington Learning Center in Newark. 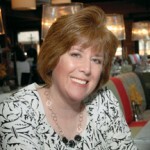 Learn more about Huntington at www.HuntingonHelps.com. Huntington is prepared and excited to embrace those challenges together. Dr. Raymond J. Huntington is co-founder of Huntington Learning Center, which has helped children achieve success in school for over 35 years. For more information about how Huntington can help your child, call 1-800-CAN-LEARN. 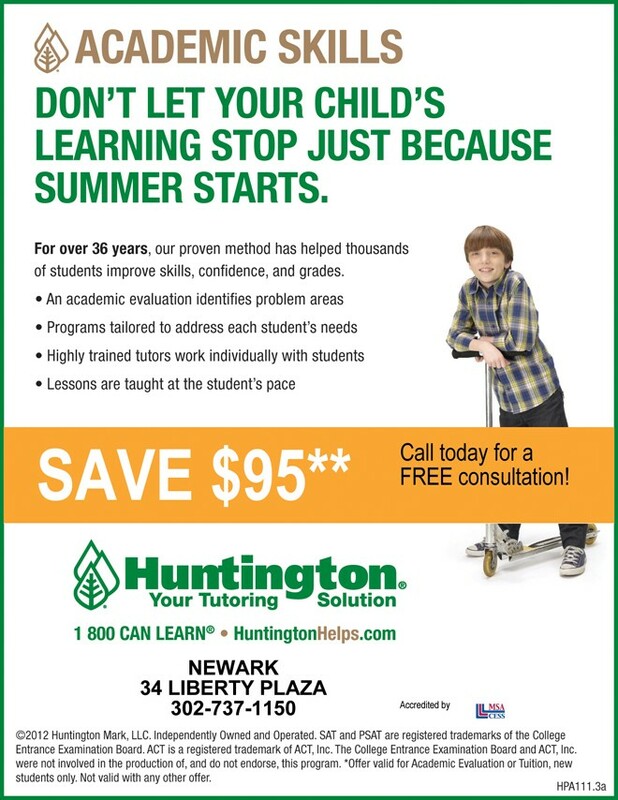 For more information or to schedule a consultation at the Newark location call 302-737-1150 or visit www.newark.huntingtonlearning.com. ← Previous Story One Student. One Teacher. One Revolutionary Difference!